For a smarter take on the modern compact car, the 2018 Chevrolet Bolt EV gives you more range and more mileage on a single charge than any other all-electric cars out there. Not only that but with the sleek lines and the outstanding Chevrolet quality that you will find included in each and every one; you are going to fall in love with this vehicle even before you set foot behind the wheel. 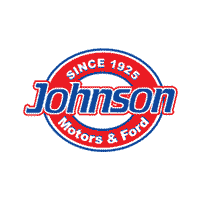 Come take a closer look; better yet, come take one for a test drive with the friendly staff of Johnson Motors in St. Croix Falls. We will go the extra mile to match you with the 2018 Chevrolet Bolt EV that you have been dreaming of. With fuel prices rising, a more efficient mode of travel is always a welcomed thing. Thankfully, the 2018 Bolt EV gives you that efficiency, without sacrificing on the other features that make the entire Chevrolet lineup special. That is because the Bolt EV is the first all-electric car that doesn’t cost an arm and a leg to give you an EPA-estimated 238 miles of range on a single charge. That means that your travel range just expanded exponentially, while your payments have stayed pleasantly small. Come see just how affordable your monthly payments on the Bolt EV can be at Johnson Motors of St. Croix Falls. Knowing what is going on inside of your car makes the trip all the easier. The 2018 Bolt EV gives you an intelligent interface that puts you in control of your behind the wheel experience by offering a tablet-like display with all of the information that you need right at your fingertips. Whether you are using an app like Apple CarPlay or Android Auto or using the convenient navigation feature, you will feel right at home behind the wheel of your new 2018 Chevrolet Bolt EV from Johnson Motors.